Who is Ronald E. McNair? The TRIO Ronald E McNair Postbaccalaureate Achievement Program is a graduate school preparatory program funded by the U.S. Department of Education and sponsored by UW-Eau Claire. Named after American astronaut Dr. Ronald McNair, the McNair program aims to level the playing field in graduate education and diversify the American research community by class, socio-economic status, and ethnicity. The goal of the McNair Program is to increase attainment of PhD degrees by students from underrepresented segments of society. This includes first-generation low-income individuals and members from racial and ethnic groups historically underrepresented in graduate programs. 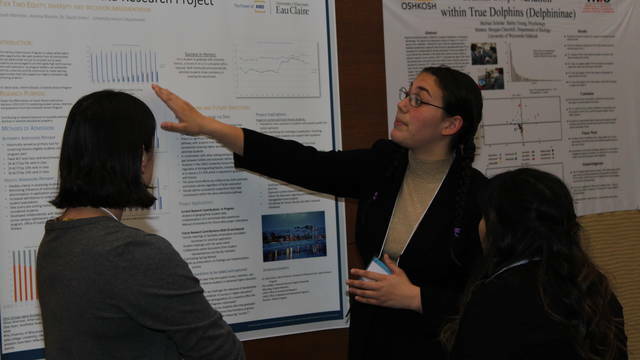 At UW-Eau Claire, we prefer working with scholars who are ambitious about entering graduate school immediately upon graduation. Our hope is that eventually, our scholars will go on to earn a Master's degree and ultimately, a doctoral degree. The purpose of the McNair program is to provide disadvantaged college students with effective preparation for research-based doctoral study. Each year, the McNair program recruits up to thirteen eligible students, who become "McNair Scholars". With the help of a dedicated faculty mentor, the 2-year McNair program prepares Blugolds for graduate-level studies, with an end goal of a doctoral degree. 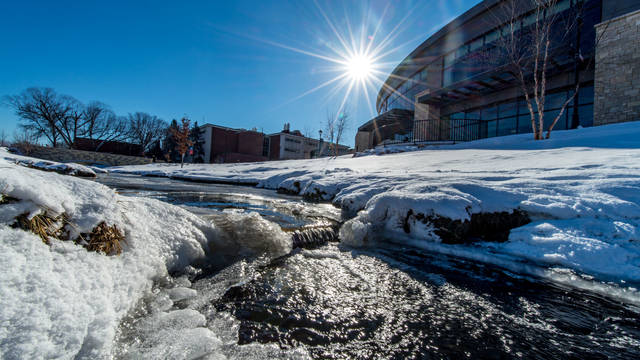 The McNair program aligns with the institutional mission of UW-Eau Claire and directly contributes to the university guidepost goal of closing the opportunity gap in higher education. McNair helped me to strive for dreams that I would not have thought possible.It gave me a support system of other students who had similar dreams and goals, while also recognizing my own ideas and dreams. A doctorate degree bestows monetary and non-monetary benefits that last over a lifetime. These include highest annual median income compared to lower levels of educational attainment, an unemployment rate of close to zero percent, a lifetime earnings curve that is much higher than lower levels of educational attainment, and a wide array of research and academic employment possibilities. Despite these benefits, American doctoral recipients are heavily skewed by socio-economic class, parental background, and race/ethnicity. Less than 20% of research doctorates go to students from first generation background. More than 80% of doctoral degrees are earned by White Americans and Asian Americans. Students from lower socio-economic status, whose parents did not complete college, and those from historically underrepresented backgrounds are not receiving the benefits of earning a doctoral degree and hence suffer from an unlevel playing field in higher education. The McNair program is a micro level policy intervention aimed at leveling the playing field in graduate-level education one McNair scholar at a time. Its goal is to level the playing field in graduate-level education by preparing academically talented students from low income, first generation and underrepresented background for graduate level education, with the ultimate objective of completing doctoral studies. As more and more disadvantaged students go on to earn doctoral degrees, they receive the stated benefits of this degree, and go on to pass on these benefits to future generations. The inter-generational cycle of benefits of educational attainment begins with each McNair scholar. McNair Feature Scholar: Meet Emily! UW-Eau Claire will recognize National TRIO Day with a program and awards ceremony from 3:30-5:30 p.m. April 3 in Davies Center. McNair Feature Scholar: Meet Elaine! McNair Feature Scholar: Meet Carissa! Learn more about Ms Dowden's research into welcomingness of signs on the driven landscape and her long term professional goals. 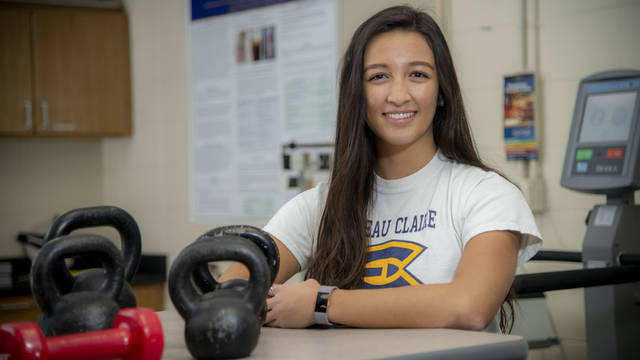 Chantal Bougie has an impressive resume after embracing the many opportunities she found at UW-Eau Claire. She will graduate this month with a degree in kinesiology. Visit the UWEC McNair program FB page to see stories and comments from past and current scholars.